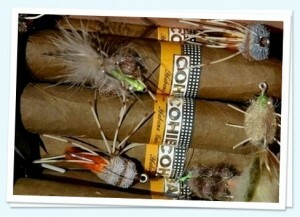 Want to fish Cuba? Well, you might end up heading out with Rich French via his outfit, Slipstream Angling. As a Maple Leaf, Rich runs a business that books anglers all over the world and Cuba is one of those places. Rich here dishes about running a business in Cuba, about why you don’t find plastic on the Cuban beaches and about throwing a six weight for bones, as well as giving some thoughts about over-development in Belize. 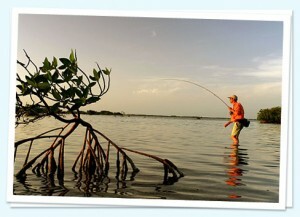 Cuba is one of those places that a lot of anglers have on their wish list. What is it that makes Cuba unique from other destinations? I think by and large there are a couple of key things… it truly is a pristine environment. For all the guys that read your blog and travel around the Caribbean, they are going to be very familiar with a lot of garbage and plastic floating in the ocean and on the shores and that doesn’t matter if you are in Mexico or Belize or the Bahamas, you are going to see it. It is just a part of what we’ve done to the oceans. Cuba is really untouched in that regard. It is such a clean environment because Cubans are so poor. They don’t throw anything out. A plastic engine oil bottle will not be thrown out because that can be used in a variety of ways by the average Cuban. They just don’t toss stuff out the way that we do. As a result, the environment is really clean. Secondly, the way the government works is they really regulate and tightly control the fisheries that they do have. One of the ways they do this is by creating only a certain number of rods to come into these fisheries per day or per week, depending on the fishery. What that means in a real lack of pressure. For example, Cayo Largo, you’ve got several hundred square miles of fishable flats where there are six flats skiffs allowed at any one time. So, each skiff is going to have about 50 square miles to themselves per day. That’s the same in the Zapata and Cayo Ramano. There is only a limited number of rods allowed per area and the government, due to its regulations, are very strict. You cannot fish in a location that has been designated as a sportsfish area and they sports fishing guys don’t even go into those areas because they know the penalties are very severe. If a place has a six skiff limit, does it mean it gets six skiffs a day? No, absolutely not. It really depends. My least expenisve trip is $2,900 for a week. My most expensive is $6,800 for a week. So, there is a wide price range and the more expensive places, while busy at times during peak times, are not as pressured as the less expensive areas. Even the less expensive areas, there is only a finite number of guys that can come in per-week and that’s it. There are no other boats to take you. The Cuban government regulates boats very closely, as you might imagine. I know that plenty of Americans are already making their way to fish Cuba . Do you know if any of the folks who have visited you have been fined or prosecuted? I personally know of no one that has been fined upon returning to the United States from their trip in Cuba. Many Americans go every year. Not just fisherman, but birders and others. The Cuban govt. put the number last year at 50,000 Americans that ignored their government’s regulations and went. To me, the whole thing is crazy. If you can go to China and Vietnam and you can’t go 90 miles south of Key West, that astounds me. Do have any notion of when the travel ban might be lifted? Really, no one knows Bjorn. My best guess is 3-5 years, but it could be longer. Fidel Castro’s brother Raul, is now in charge and has been for a couple of years and he’s in no hurry to change anything. There’s a lot of back channel dealings going on now between the US government and the Cuban government, and I know that for a fact because I know some of the Cuban lawyers who are involved in it, but as long as you’ve got that South Florida population of ex-Cubans funding both the Republican and Democratic parties, the US policy… I just can’t see it changing. Especially when the regime change in Cuba won’t be taking place for a long time. It doesn’t matter if Fidel dies tomorrow. Raul is 5 years younger and in good shape and he too has people around him that the political situation has been very good to. If both Fidels were to die tomorrow there still wouldn’t necessarily be change within the month. It won’t be soon. I’ve heard that there is netting in Cuba. What’s the local perspective on bonefish there? I think what you have to know about that… and this is a great question… when I read it this morning I thought “this is a question that not many people ask of me.” Basically, any fish in the ocean or rivers in Cuba is a food source and that is how it is looked upon. There are very few stakeholders in Cuba within the sportfishing industry. You have the guides, the guide’s families, the hotels and lodges and taxi drivers that support the traveling anglers, but that isn’t a lot of people when all is said and done in a country of 11 million people. Any fish that swims is considered a food source, so yes, there is some netting in Cuba, that’s just the way it is, in the same way that there’s netting going on in the Bahamas and Belize… it’s no different. What are some of the unique aspects of running a business that does business in Cuba? If you could see me, you’d see all the gray hair in my beard. I think that really, the key is you have to have patience. 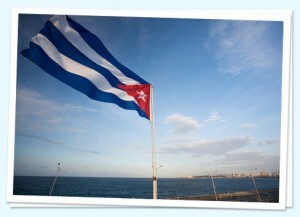 It is a country unlike any other and I have about 100 destinations in about 25 different countries and I travel extensively and Cuba is unlike anywhere I have ever been before. One of the big keys is to go in with a clean slate and that’s what I did. You can’t go in with pre-conceived notions about how things work back in Canada or the US and therefore that is how they work here because nothing is further from the truth. You have to have a lot of patience. You have to be willing to fail, which, when I started my Cuba operation I went through hell. It took a long time to get to know who the reliable people were who I could trust who would do what they said were they were going to do, which is not that common in Cuba. You need to be patient and you have to go in with no pre-conceived notions and I did that based on my experience of building and running an angling company out of Belize. The other thing… one of the ways I’ve been really successful in Cuba, is I’ve made it a real priority that they guys I bring in to fish make an impact while they are in Cuba. By that I mean gratuities, which are so key inside Cuba, so much more so than anywhere else in the world, really, because the average Cuban is going to make about $20-25 US a month. They have food and rent subsidies, but it is a poor country. I make sure that my clients coming in know exactly what is expected of them in terms of gratuities for the guides and the hotel staff, but also anyone they meet. I deal with a lot of places inside Cuba where other agencies book clients, particularly European agencies, and in some of the places like the Zapata peninsula where European clients from places like France and Italy come and they won’t tip their guides for the whole week. Their attitude is that they’ve paid their price for the trip through the booking agent and I don’t need to tip. That’s very foreign to a Canadian or American angler, but it is very much a European thing. It is really interesting to see how happy the guides are when they see me coming in with a group of ten guys after they’ve just dealt with one-two weeks back to back of French clients who don’t tip at all. Really, I want my clients to fully understand how important it is and what kind of an impact they can have on the people they meet, not just monetarily, but with goods like jackets. I have a group of doctors from Toronto that comes every year and they bring like 50 soccer balls, brand new soccer balls… you can’t get that stuff in Cuba. I don’t want to bring anyone into the country that doesn’t want to be generous when they get there. That’s how I built my business there. 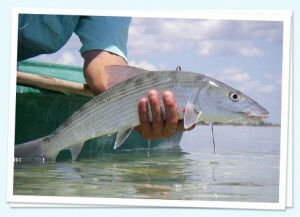 What’s your rod and reel of choice for bonefish these days? That’s a great question and generally whenever I’m throwing for bones I’ll have two rigs with me. The first is a 6 weight, and this is when conditions allow, obviously, but when there isn’t a lot of wind and I’m fishing in really skinny water, I’m fishing a 6 weight and right now I’m using the Winston BIIx and a small Able #1 reel with about 150 yards of backing on it and that is just a killer bonefish rig. That’s basically fish up to about 6 pounds. When it’s windier or I know there are larger fish in the area, I’m throwing an 8 weight Winston BIIx with a Billy Pate bonefish reel. The 6 is the lightest rod I’ve heard about in any of my interviews, so, why the 6 as opposed a 7, is it just delicacy of presentation? Exactly Bjorn. I’ll give you an example. I do a lot of work in the Zapata peninsula, which is a really unique fishery where essentially the average water depth is 6-14”. What that means is you can’t use engines in the majority of this area. The guides use modified fiberglass flats skiffs and they pole you the minute you get into that skiff until the end of the day… that’s 8 hours of guides polling you, unless you are wading. Because the water is so skinny, I just started using a 6, about 5-6 years ago with a small, #8 hook, a beautiful little fly I tie, and it just produces. I can get into tight little areas where using a 6 weight allows me to throw small, light flies that land with a minimal splash… the amount of fish I catch on that rod is just ridiculous. Is there a local beer in Cuba or is it a mojito kind of thing? Absolutely, there’s a local beer. Because it’s Cuba, you don’t have a lot of choices, but most well received beer from a foreigner perspective is Crystal, which is somewhat like a Heineken. There is a heavier beer called a Bocanaro, which is a little more alcohol, a little stronger. The mojitos are flowing strongly when you get back. Since you spent so much time in Belize and Ambergris, do you have any thoughts on the overdevelopment that is going on there? Absolutely. I started going there with my father in 1970… that was the first time I fished Ambergris. When I got there, there were about 300 people living on the island. The runway was dirt, none of the streets were paved and I cannot recall any vehicles. Now, when I go back, and I still have a house there, the traffic is incredible… the traffic in San Pedro is incredible and it all comes back to corrupt politicians. The whole thing, Bjorn, comes back to corruption and bureaucrats with their hands out allowing virtually anything to happen for a price. I’ll give you an example. The old Prime Minister sold the San Padro graveyard. I’m not kidding. He sold the graveyard, thinking he could get away with it because its the “old” graveyard that’s right on the beach, it’s valuable property. There was such a backlash that he had to rescind the sale, but if you are willing to sell your graveyards for development… that’s just the nature of politics in Belize. 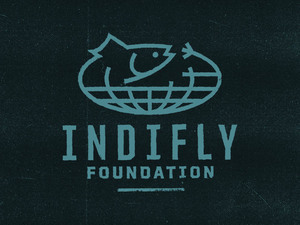 This entry was posted on Wednesday, November 3rd, 2010 at 1:56 am	and is filed under Fish Tails, Locations. You can follow any comments to this entry through the RSS 2.0 feed. You can leave a comment, or trackback from your own site.